To mark the 100th anniversary of Alfred Russel Wallace’s death Operation Wallcea produced a poster showing the voyages of Wallace and Darwin and how they both developed the idea of evolution by natural selection. This map was produced in association with the Wallace Memorial Fund and forms part of the Wallace100 celebrations. An email to send a request is at this link. First, I have been reading with great interest the new book by biologist James T. Costa (The Annotated Origin; On the Organic Law of Change: A Facsimile Edition and Annotated Transcription of Alfred Russel Wallace’s Species Notebook of 1855-1859; and Wallace, Darwin, and the Origin of Species). Titled Darwin’s Backyard: How Small Experiments Led to a Big Theory (W.W. Norton, 2017; order from Amazon.com or Powell’s City of Books), Costa describes in stunning detail experiments that seem to me to be rather large in scope. 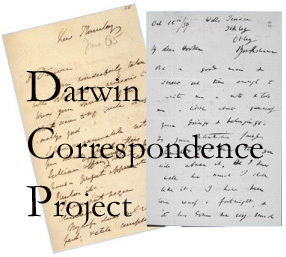 The dedication that Darwin put into seeking answers for a wide variety of questions that related to his theory of natural selection, all while writing and publishing other books, keeping up a vast correspondence, and devoting time to being a husband and father, is simply astounding. Granted many of our modern distractions were not around, I sometimes find it difficult to comprehend just how much he accomplished. Darwin’s Backyard explores nine avenues of experimental research that Darwin carried out, from barnacles and bees to orchids and earthworms. Many of the experiments occurred simultaneously, with some extending through the years (Darwin would sometimes begin an experiment, have to put it on hold because of family life, publishing, or some other distraction, and get back to it a year or more later – on p. 128, Costa refers to Darwin’s “stick-to-itiveness”). Throughout the chapters, he reiterates the importance of Darwin’s reliance on other people for his research, especially for specimen collection (including children, his own and others), and crowd-sourcing for information through queries in various publications, such as the Gardener’s Chronicle. I particular enjoyed the chapter titled “A Grand Game of Chess,” on Darwin’s seed dispersal experiments to determine if plants could spread across great distances around the globe via ocean currents. Readers in education will find value in each chapter’s suggested activities, recreating some of Darwin’s own or conducting similar ones. While many Darwin books discuss aspects of his various experiments, Darwin’s Backyard will find a place on my bookshelf for its incredible detail on the experiments themselves, analysis of what the experiments were accomplishing (or not) for Darwin’s theory, his use of primary sources such as Darwin’s letters and notebooks, and the way in which Costa intertwines Darwin’s scientific work with his family life. You can listen to Costa discuss his book in this program from North Carolina Public Radio, his talk for Google in September, and on the podcast In Defense of Plants. I look forward to delving into his writing, which includes plenty to think about regarding Darwin, and a little on my favorite Darwin supporter, John Tyndall (I am currently co-editing volume 6 of Tyndall’s correspondence with Janet Browne and Ken Corbett; and next summer will begin work on volume 10 with Roland Jackson). 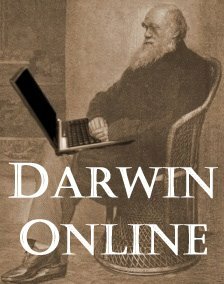 Third, several years ago I half-reviewed a book of Darwin quotations that unfortunately missed the mark. I commented that such a book would be best tackled by an historian of science, and since then one has indeed been produced by not just a stellar historian of science, but Darwin’s most delightful biographer, Janet Browne. In the style of their successful quotation book for Albert Einstein, Princeton University Press has published The Quotable Darwin (2017; order from Amazon.com or Powell’s City of Books). * Links to Amazon and Powell’s Books are affiliate links. Abstract This paper examines the tension between Darwinian evolution and palaeontological research in Britain in the 1860–1914 period, looking at how three key promoters of Darwinian thinking – Thomas Henry Huxley, Edwin Ray Lankester and Alfred Russell Wallace – integrated palaeontological ideas and narratives of life’s history into their public presentations of evolutionary theory. It shows how engagement with palaeontological science was an important part of the promotion of evolutionary ideas in Britain, which often bolstered notions that evolution depended upon progress and development along a wider plan. 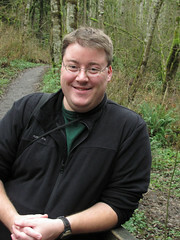 While often critical of some of the non-Darwinian concepts of evolution professed by many contemporary palaeontologists, and frequently citing the ‘imperfection’ of the fossil record itself, Darwinian thinkers nevertheless engaged extensively with palaeontology to develop evolutionary narratives informed by notions of improvement and progress within the natural world. A new article in the journal Studies in History and Philosophy of Science Part C: Studies in History and Philosophy of Biological and Biomedical Sciences will interest readers here. Its author, the creator of Darwin Online and Wallace Online, has devoted much time and research in reevaluating the story of Wallace and Darwin. Abstract This article examines six main elements in the modern story of the impact of Alfred Russel Wallace’s 1855 Sarawak Law paper, particularly in the many accounts of Charles Darwin’s life and work. These elements are: 1 It was Wallace’s first avowal of evolution; 2 Wallace laid out the theory of evolution minus only a “mechanism”; 3 Darwin failed to see how close Wallace was approaching; 4 Lyell did see how close Wallace was approaching; 5 Lyell urged Darwin to publish because of Wallace; 6 Darwin wrote to Wallace to warn him off his path. Each of these are very frequently repeated as straightforward facts in the popular and scholarly literature. It is here argued that each of these is erroneous and that the role of the Sarawak Law paper in the historiography of Darwin and Wallace needs to be revised. You can read this article online or download the PDF for free.